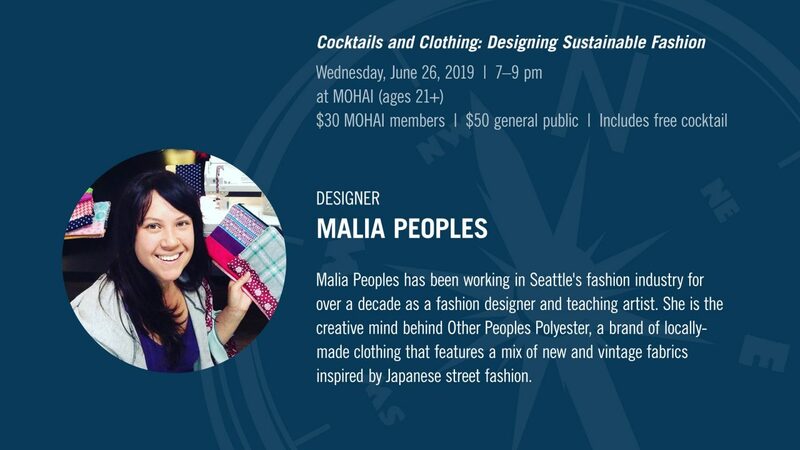 For one night, MOHAI hosts local designers leading the new wave of sustainable fashion in this interactive evening of cocktails and creativity. 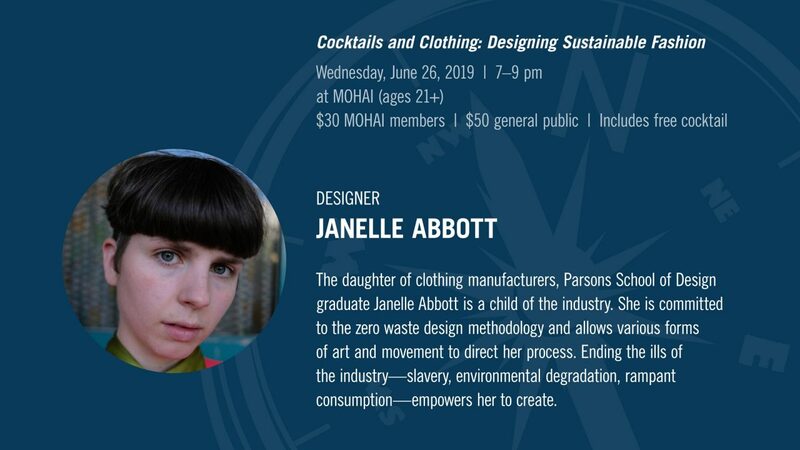 Witness the unique design process of Janelle Abbott and try your hand at fun and funky upcycling with Malia Peoples. 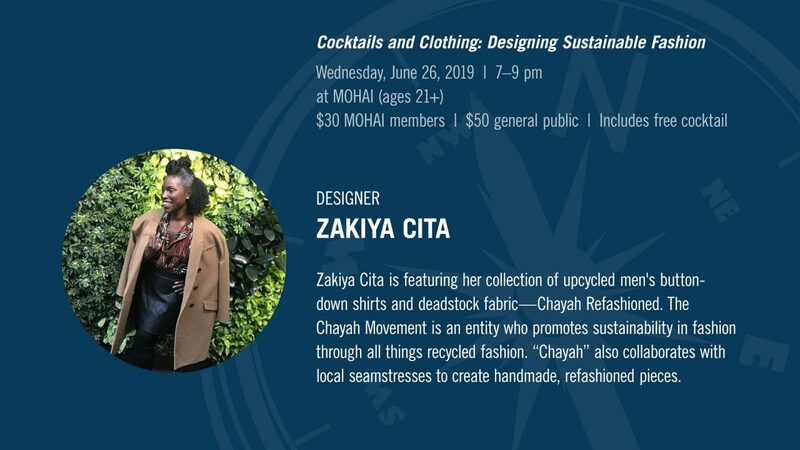 Discover a range of sustainable garments at pop-up shops by Zakiya Cita of The Chayah Movement and Prairie Underground, and remember the evening with a live sketch created by fashion illustrator Galina Adzhigirey. 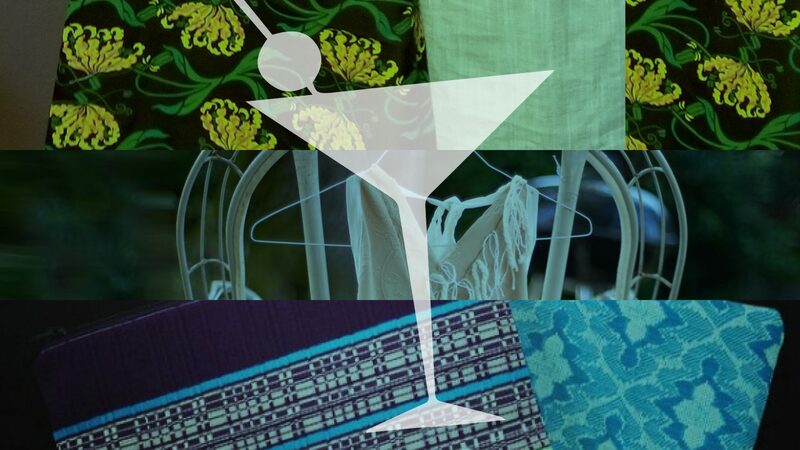 Free cocktail included with ticket. 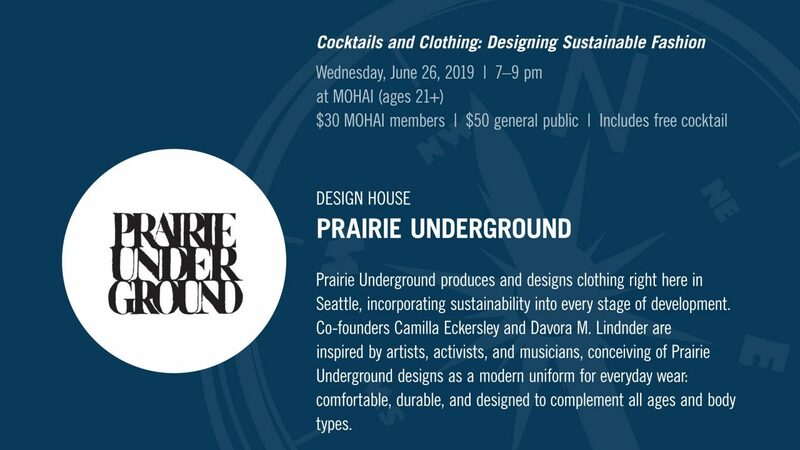 This event is for guests 21 years and older.